There’s whitebait, flounder, trout and salmon in the lagoon, and deer running around our forests. But that’s just for us!!! As we’re not yet allowed to serve you any of the wilder foods found around here, Gemma bakes and makes a light range of delicious home-made savoury and sweet foods, from our home kitchen, and maybe the worlds best gluten-free carrot cake. Independently verified. By Baz. The small range of food available at the kayak shop is all freshly-made, and varies day to day as Gemma only makes small batches. Come in and try a home-made cookie, frittata or black bean fudge brownie, take a load off and enjoy the cell-phone free atmosphere. Less effort than catching it yourself. Wierdly enough for a tiny kayak shop at the end of the world we’ve somehow built a reputation for some of the best coffee on the West Coast. Or at least, in Okarito. The water we use seeps from the Southern Alps through ancient forest and rock, taking around 150 years to get to us, where it filters though freshly ground C4 Coffee, from a Christchurch roastery who actively source their beans from all over the world. 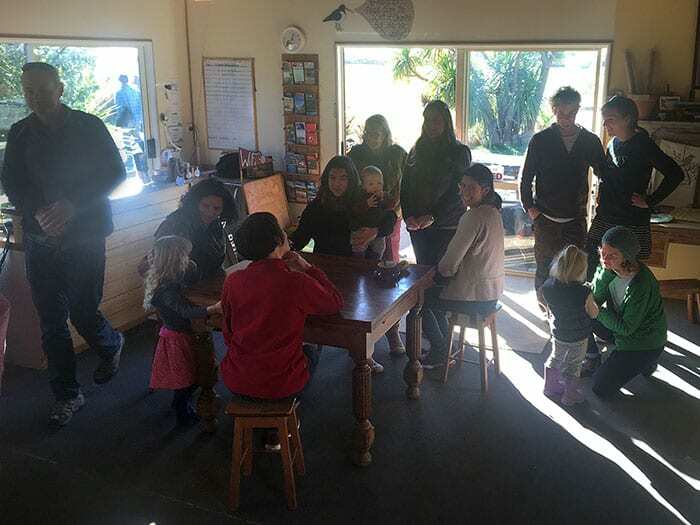 A lot of love goes into our coffee for you to enjoy, sat in the sun on the beautiful old Matai table out the front or on one of the comfortable couches inside the kayak shop. 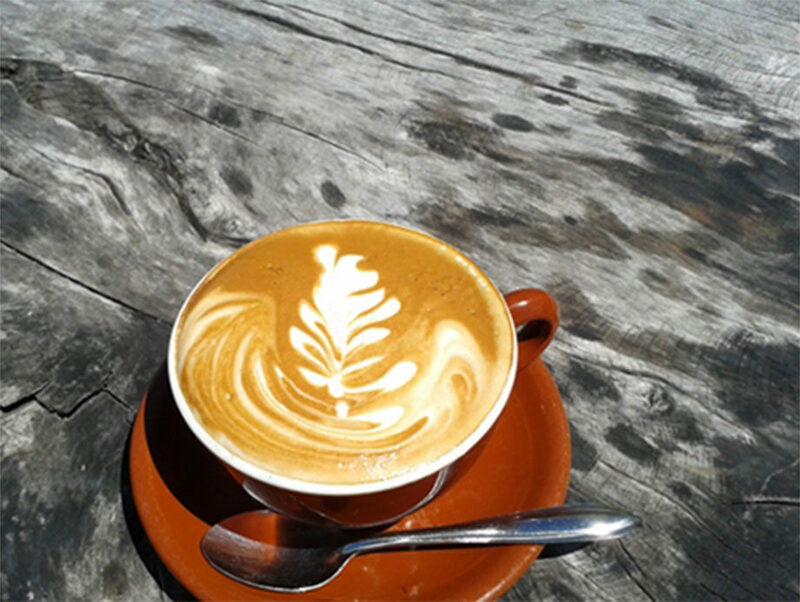 Pop in to see us for a Flat White, Long Black or Fluffy to fuel your kayak or walk up the beautiful Okarito Trig or Three Mile Lagoon tracks. If you’re not from round here, we can even explain what these drinks actually are.